We are fortunate to have worked with truly amazing companies, and Newly is firmly in the amazing company category. Newly sells gorgeously crafted home goods, but it’s not just the quality of their products that makes them special. 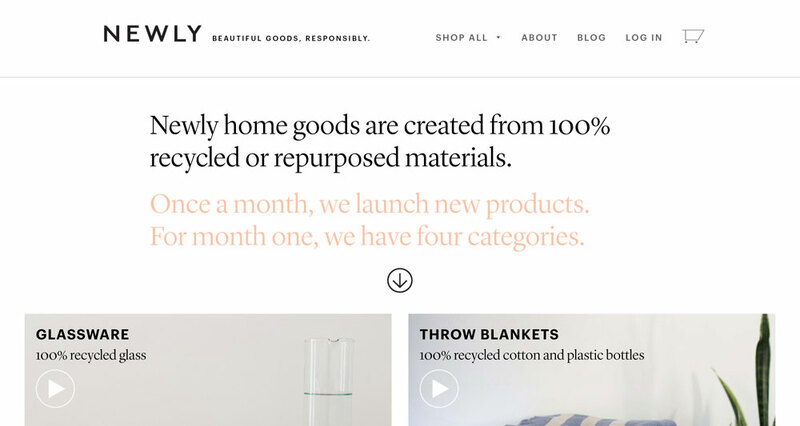 All of their products are created from 100% recycled or repurposed materials. How cool is that? For this project we were in charge of building a totally customized site to match the mockup crafted by Newly’s incredibly talented graphic designer, Matt Lehman. This was a terrific project for us, and the collaboration yielded a site that is both beautiful and functional. The Newly design called for a custom video function for the products on the homepage. We built this feature so that each product can have a featured video that is activated when a visitor clicks the product’s featured image. 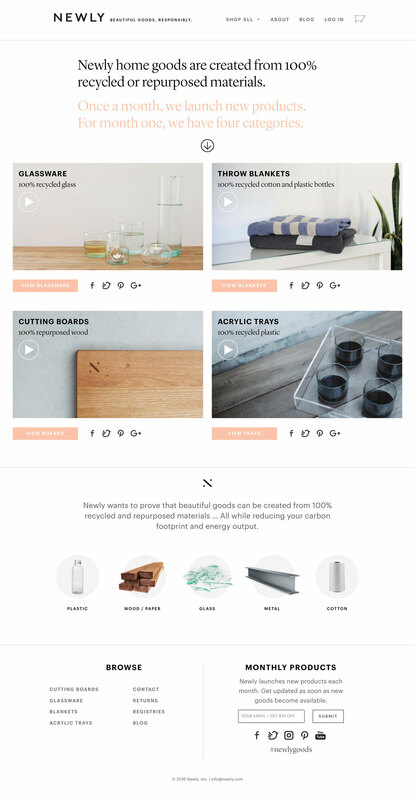 Since Newly cycles out new products every month, we developed their Shopify back end to make it very easy to change out the featured videos for new products in the future as well.